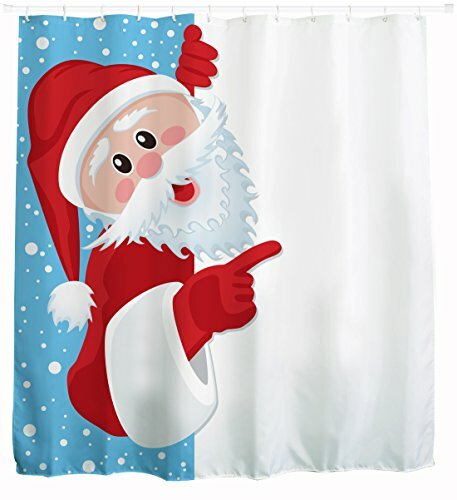 One of the quickest ways to begin your Santa bathroom decor is with a Santa Claus shower curtain and hooks. 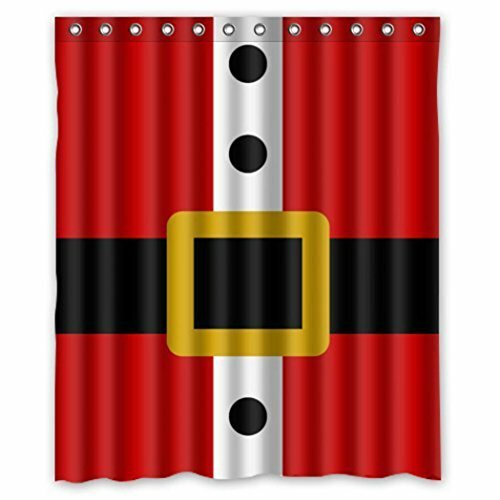 Shower curtains cover so much space and are so simple to change, they are the obvious starting point in your Christmas decorating spree. And you have a wide choice of colors even with the basic red and white. Your Santa bathroom can smell sweet all through the holidays if your family and guests use this super poo pourri Santa . I know you thought it was a joke, and so did I. But this Secret Santa product works. Your guest just needs to spray the product into the toilet before he/she sits down. Voila – no ugly bathroom odors. 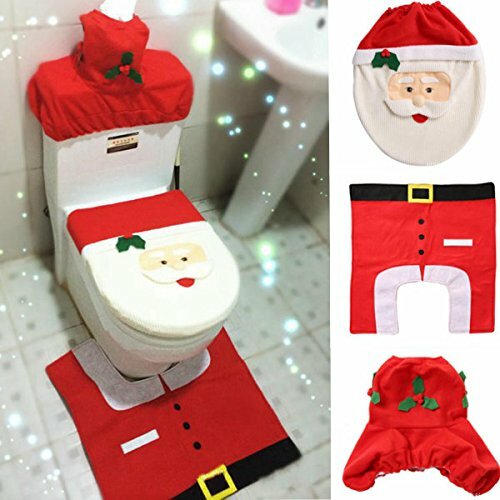 Your family and friends will certainly be more comfortable just knowing that the Santa PooPouri is available. And yes, they will likely giggle a bit — and that’s a good thing. The Santa poo-pourri can fits right in to your Santa bathroom decor — it looks pretty and serves a great purpose. 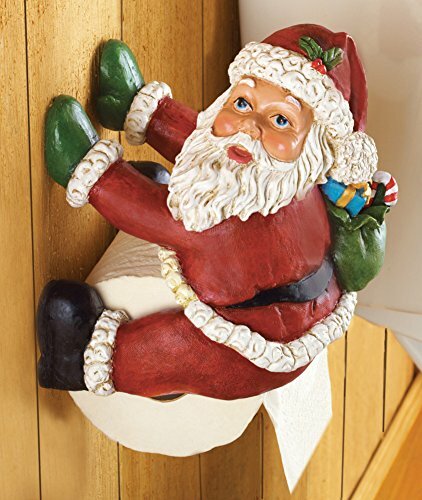 Of course, your toilet paper needs a Santa theme or a Santa holder. Add a touch of fun to the most basic bathroom supplies. You can even get a singing toilet tissue roll if you like. 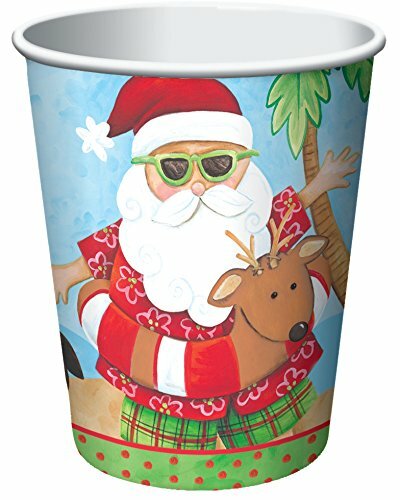 These two Santa toilet tissue items are my favorites. 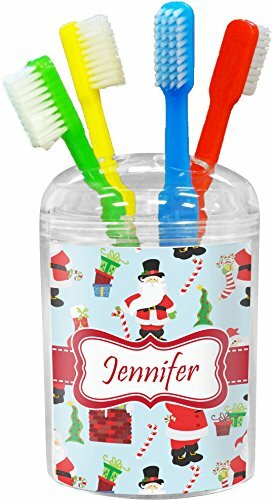 Santa Claus Toothbrush Holders, cups, and even Santa toothbrushes are easy ways to add to your Santa themed bathroom. Look through your Christmas decorations boxes for small items you can add to your bathroom for the holidays. The difference is in the details, right? 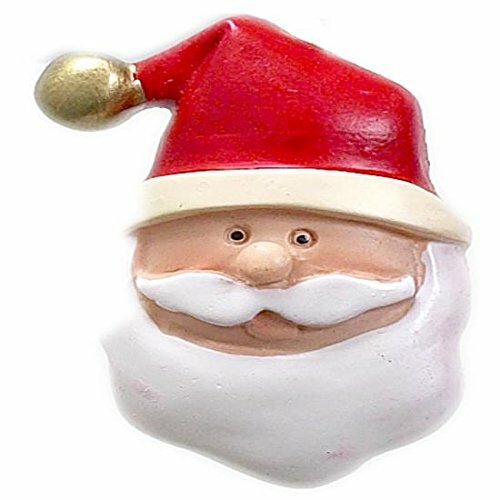 A Santa light switch cover or a small string of Santa light s can add a touch of wonder for a child’s bathroom. Have fun with the whole idea. Recruit the children to help discover items that will add to the Santa theme. 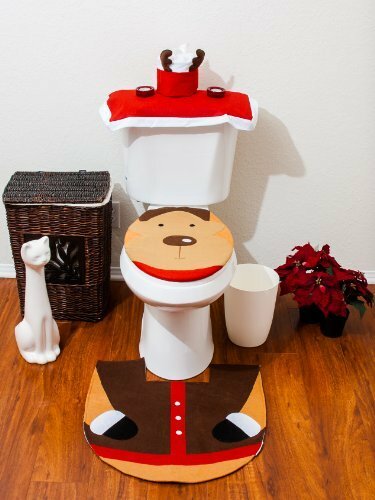 These fun Santa toilet sets make me smile every time I see them! Don’t you? Besides that, your guests will smile, too! Ho! Ho! Ho! Santa makes everybody giggle! Ho! Ho! Ho! 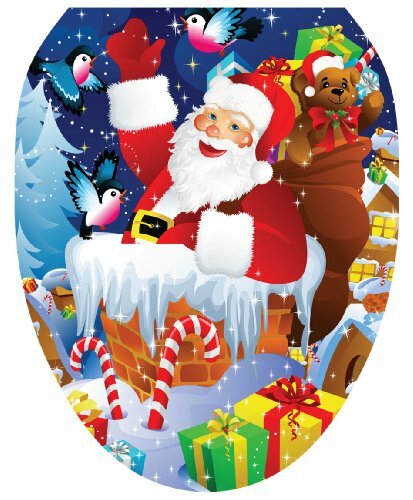 Without a doubt, Santa Claus bathroom decorations are indeed a fun way to decorate for Christmas. 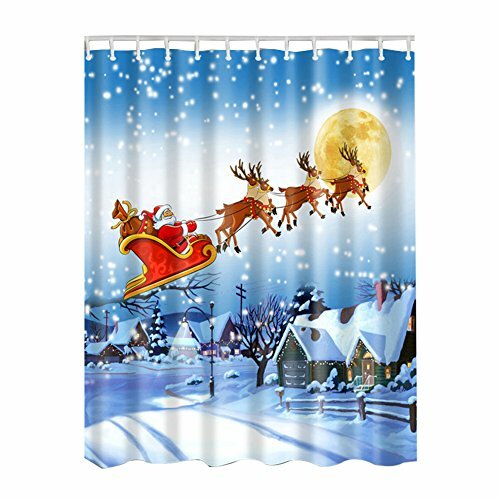 Your children and/or grandchildren will be delighted to see the jolly Saint Nick in the bathroom and the adults in the family will chuckle a bit too. 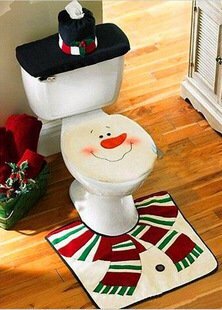 Looking for More Holiday Bathroom Decorating Ideas?